Are There Fewer Christians in America? The headline of the New York Times was “Big Drop in Share of Americans Calling Themselves Christian.” It was a story reporting on a recent survey by the Pew Research Center. According to the survey, “The Christian share of the U.S. population is declining, while the number of U.S. adults who do not identify with an organized religion is growing.” More specifically, seventy-one percent of Americans identify themselves as Christians, down from 79 percent in 2007. The biggest increase and the subject of much of the media coverage was the religiously-unaffiliated, or the “nones” as they are sometimes called. They went from 16 percent of those surveyed in 2007 to 23 percent today. And among 18-to-25-year olds, the percentage of the unaffiliated rose to 34 percent. This so-called explanation ignores the inconvenient fact that the biggest decline noted, again, is in the liberal mainline denominations. So what ought we to make of this report? Well, the first thing, as with all such reports, is to acknowledge its critics who call some of its findings into question. For instance, over at the Gospel Coalition, Joe Carter pointed out that the “Christianity in decline” meme ignores the fact that, according to the survey, the number of Evangelicals is growing, and the percentage of Americans who describe themselves as such remains stable. Mark Gray of Georgetown University offered similar criticisms regarding the conclusions drawn about Catholicism. And jettisoning controversial teachings, especially on what he calls “pelvic autonomy,” won’t help, Moore says, because “people who don’t want Christianity, don’t want almost-Christianity” either. “We do not have more atheists in America,” Moore stated. “We have more honest atheists in America.” And that’s exactly right. 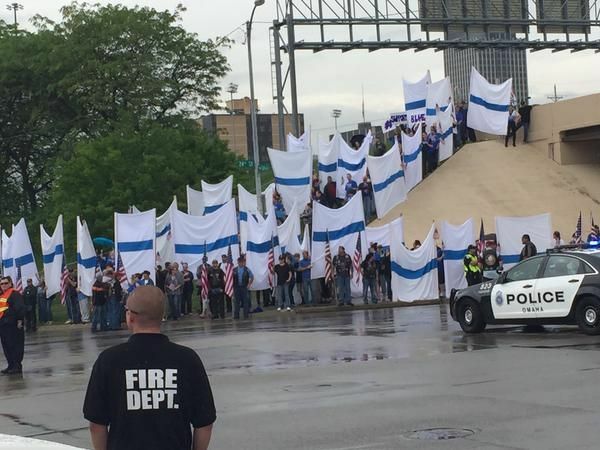 Police supporters hold large white sheets with blue lines across them to shield those mourners from Westboro Baptist Church protesters. Hundreds of supporters came to the funeral of slain Omaha Police Officer Kerrie Orozco to shield mourners from a handful of protesters Tuesday. Wearing blue, about a hundred people arrived early at 24th and Cuming Streets, where the protesters intended to meet. About 9 a.m., the supporters moved south to Cass Street, where they were joined by hundreds more, including a large group from the Patriot Guard. There they unfurled large white sheets with blue lines across them. The protesters, from Westboro Baptist Church, set up near Interstate 480, so supporters moved to a hill to block them from view. 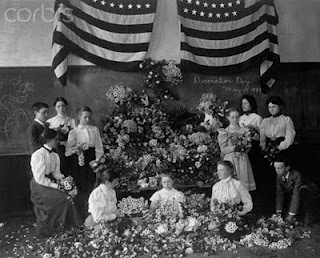 Kate Kielion of Omaha, the daughter of a retired Omaha police captain, organized the sheet-making. The stories are endless. The count is breathtaking. 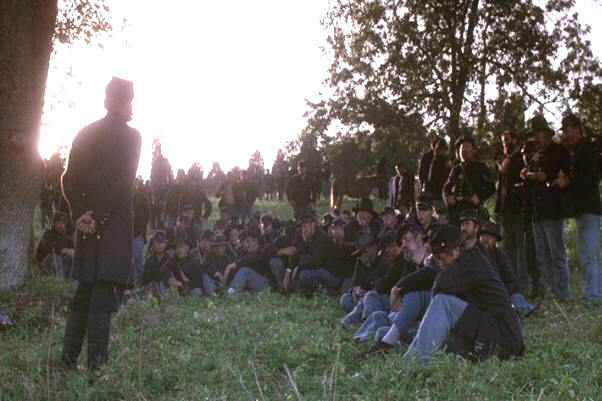 The first war to prompt what became this official observance saw the fallen honored from the two sides of our “civil” war, with 625,000 names and lives to remember from that war alone. For those of us who never served, it really is close to unimaginable. For many who served and watched their comrades die, it is so very imaginable. And the cost; the sacrifice; the duty… they all add up to the simple yet extraordinary story of young men (mostly men in the past) who showed up, (or were drafted), signed up, and followed orders. Some came mainly because we were bored at home — thought this looked like it might be fun. Some came because we were ashamed not to. Many of us came because it was the right thing to do. And all of us have seen men die. “The right thing to do.” The “just war” doctirne says that when the cause is just, there is little doubt about the justification. Less than twenty-four hours before he left this world, Bonhoeffer performed the offices of a pastor. In the bright Schönberg schoolroom that was their cell, he held a small service. He prayed and read the verses for that day: Isaiah 53:5 (“With his stripes we are healed”) and 1 Peter 1:3 (“Blessed be the God and Father of our Lord Jesus Christ! By his great mercy we have been born anew to a living hope through the resurrection of Jesus Christ from the dead” RSV). 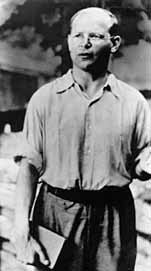 Bonhoeffer’s sentence of death was almost certainly by decree of Hitler himself. (Hitler) was every atom a petty man, he was accustomed to diverting exceedingly precious resources of time, personnel, and gasoline for the purposes of his own revenge. “In the almost fifty years that I worked as a doctor, I have hardly ever seen a man die so entirely submissive to the will of God,” wrote another. 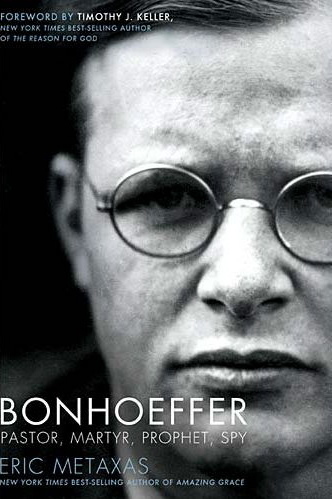 Bonhoeffer thought it the plain duty of the Christian—and the privilege and honor—to suffer with those who suffered. I speak regularly at an assisted living facility nearby. How is community formed in our new nomadic era? The way community has been formed for much of the last 4,000 years has come unravelled in the last few decades. Where agrarian societies were primarily stable farming communities — your farm and your neighbors’ farms kept you rooted to a single place and to one another — we have entered into a new nomadic era. Where farm cultures are settled and take value from the soil they till and then put value right back into it, nomadic cultures are mobile, moving to wherever they find value. With the dwindling of many farming communities since World War II, the rise of cities, and the birth of an information/communication economy, the jobs we do and the places we live have become more interchangeable. Dietrich Bonhoeffer and the LBGT. The Rev. Ron Johnson Jr. of the Indiana Pastors Alliance claimed during his April 27 Statehouse rally that issues around the Religious Freedom Restoration Act had brought on a “Bonhoeffer moment.” Dietrich Bonhoeffer was a German Lutheran pastor who created an underground seminary in Nazi Germany to train pastors for courageous leadership in dangerous times. However, Bonhoeffer would not have affirmed Johnson’s statement or actions in promoting legislation to allow discrimination against lesbian, gay, bisexual and transgender Hoosiers. 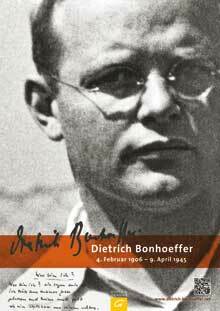 Homosexuals were one of the populations persecuted under Nazi rule, and Bonhoeffer’s teaching, beliefs and eventual decision to participate in an assassination attempt on Adolf Hitler were evidence that he believed in the dignity and worth of all. 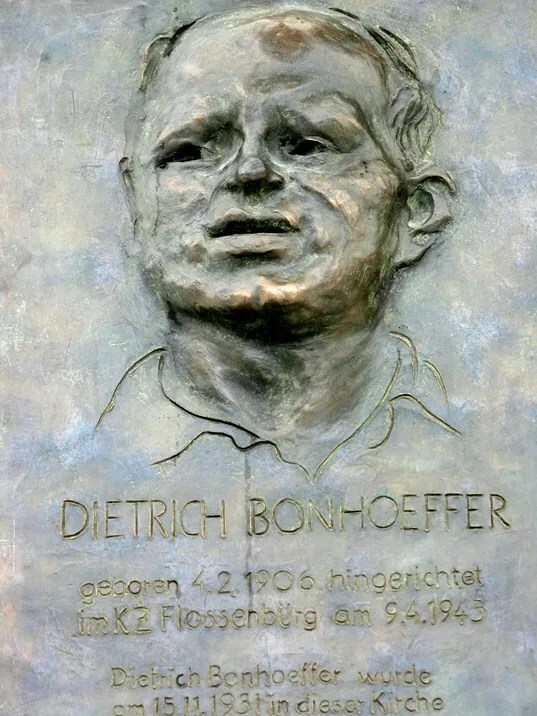 wir freuen uns, Ihnen heute mit dem neuen Newsletter zum Dietrich Bonhoeffer Portal einen ersten Eindruck der wichtigsten Schwerpunkte, Termine und Events rund um die Jubiläumszeit zum 70. Todestag Bonhoeffers kurz vorzustellen. Auch im Portal hat sich einiges getan. So ist es jetzt möglich, innerhalb der Inhaltsverzeichnisse der Werkausgabe per Stichwortsuche zu recherchieren, und auch unsere Erinnerungsstätten und Gemeindeseiten haben sich nach und nach mit vielen neuen Inhalten gefüllt. Natürlich gilt es immer noch einige Lücken zu schließen. Wenn Ihre Bonhoeffer-Gemeinde, Schule oder Institution bei uns noch nicht oder nur als Adressinfo enthalten ist, zögern Sie nicht, uns zu kontaktieren, wir freuen uns über Ihre Neumeldungen und Ergänzungen! Wir freuen uns, Sie weiterhin mit unseren Themen und Inhalten zu begeistern und danken allen, die zum Gelingen dieser Aufgabe mit eigenen Inhalten beitragen! „Wer bin ich?“ Dieser Frage begegnen Menschen immer wieder. Vielleicht sind besonders junge Menschen von dieser Frage betroffen, die – gerade wegen der Vielzahl an Angeboten und Möglichkeiten – auf der Suche nach ihrem Platz in der Gesellschaft sind. Mit der Ausschreibung des Wettbewerbs „Wer bin ich?“ regt der Arbeitskreis „Dietrich Bonhoeffer in der Schule“ der Internationalen Bonhoeffer-Gesellschaft (ibg) Jugendliche dazu an, sich anlässlich seines 70.Todestages mit dem Theologen und Widerstandskämpfer Dietrich Bonhoeffer auseinander zu setzen und seine Aussagen aus dem Gedicht „Wer bin ich?“ mit ihrem eigenen Leben in Verbindung zu bringen. Die Vorbereitungsgruppe des XII. Internationalen Bonhoeffer-Kongresses, der vom 6. bis 10. Juli 2016 in Basel/Schweiz stattfinden wird, lädt herzlich zur Einsendung von Vorschlägen für Vorträge ein. Der Kongress steht unter dem Thema Bonhoeffer in einer globalen Zeit: Christlicher Glaube, Zeugnis, Dienst. Die Konferenz will klären, wie Bonhoeffers eigene Theologie durch Auslandserfahrungen und ökumenische Begegnungen geprägt wurde. Kann Bonhoeffers Theologie auch in unserer globalen Situation heute noch hilfreich sein? Und wie? ~ Dietrich Bonhoeffer, After Ten Years in Letters & Papers From Prison, 14. 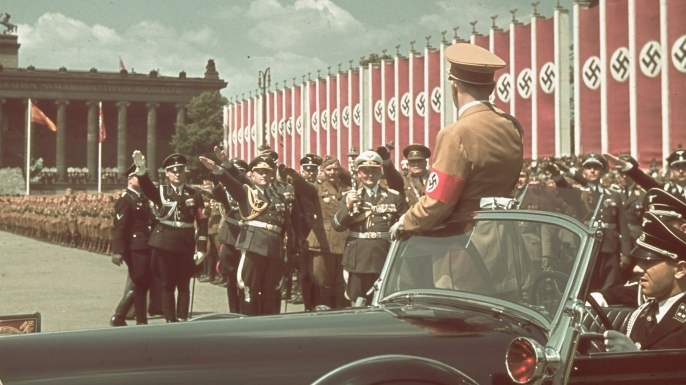 Last Days of the Nazis is a story that’s rarely been broadcast on television before. This is a dark and compelling history of Nazism from a different perspective – that of the Nazis themselves. In 1945, the Allies rounded up and interrogated thousands of ex-Nazis. The interrogations became a fascinating, but largely forgotten, part of the historical record. The Last Days of the Nazis uses these interrogations to dramatically bring to life accounts by Nazi death camp commandants, Nazi doctors, generals, architects, and members of the Hitler Youth. It is an inside look at the minds and motivations of the most evil regime in history. This is what the enemy told us.